Intense Conversations About the Future of Women’s Philanthropy at DREAM. DARE. DO. I recently returned from DREAM. DARE. DO. in Chicago, the every-three-year (maybe more often now!) convening of the Women’s Philanthropy Institute. Wow. I am still reeling from the experience. It was an intense two days of immersion in conversation about women’s leadership in philanthropy, where it is coming from and where it will be going in the brave new political climate of a Trump presidency. The Women’s Philanthropy Institute (WPI) sponsored this amazing conference, held at the Magnificent Mile Marriott in downtown Chicago. Led by Debra Mesch and Andrea Pactor, WPI is one of the biggest hubs for knowledge on gender and philanthropy. 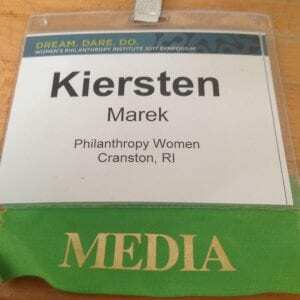 Author Kiersten MarekPosted on March 19, 2017 March 20, 2017 Categories CEO Women, Community Foundations, Feminist Foundations, Foundation Leaders, Giving Circles, Most Powerful Women in Philanthropy, Women and Girls of Color, Women Leaders, Women's FundsLeave a comment on Intense Conversations About the Future of Women’s Philanthropy at DREAM. DARE. DO. The following letter is from a new coalition of gender equality organizations called WomenForward. They are a diverse group, encompassing direct service nonprofits as well as global mentoring networks, and more. The coalition was launched earlier this month by The PIMCO Foundation, a corporate donor from the financial sector. These kinds of connections are one of the strengths of women’s philanthropy — being able to build broad-based coalitions that cut across multiple sectors to find a shared agenda. Check out the letter, and make sure to visit some of the organization’s websites, to get a sense of all the good that is happening out there in the world, despite the many challenges for women in our economy and culture. 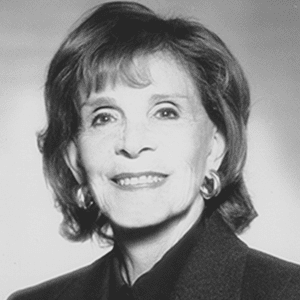 In honor of Chicago hosting the National Symposium on Women, Philanthropy and Civil Society, we proudly share our list of the top 30 female philanthropists. Chicago will soon be hosting the Women’s Philanthropy Institute conference, DREAM. DARE. DO and Philanthropy Women will be there! I’m excited to announce that Kathy LeMay, author and fundraising expert, has joined our team of writers here at Philanthropy Women. Her first article, a profile of Ana Morales, an up-and-coming leader in the Latina philanthropy sphere, is on deck for tomorrow. For now, allow me to direct you to an insightful column LeMay recently posted on LinkedIn. In it, she provides some good guidance for how philanthropists can step up in these difficult times, offering both sage advice (do the important work of listening within) and practical tips (make your multi-year pledge in one payment), in order to make the most of their role in civil society. 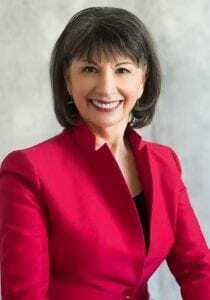 Gloria Feldt, Founder of Women Take the Lead and former Executive Director of Planned Parenthood Federation of America from 1996 to 2005. Talking to Gloria Feldt is like talking to someone who has been through just about everything as a feminist leader, and yet somehow still finds the strength to tackle ongoing social and political challenges. The word unstoppable comes to mind. 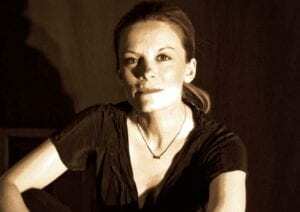 In 1996, People Magazine captured her phenomenal early career in a story called The Voice of Experience. Indeed. 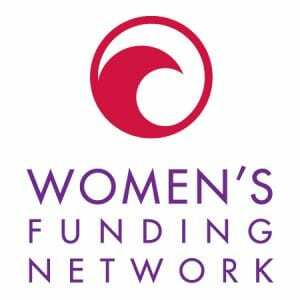 And Feldt has just the kind of experience we like to talk about here at Philanthropy Women: experience that mobilizes funding for big visions.